If the quality check is successful, we will refund you according to your requested refund method. *Kindly note that personal items such as swim wear and underwear are non-returnable. You can call Customer Service at 19586 or contact us here. 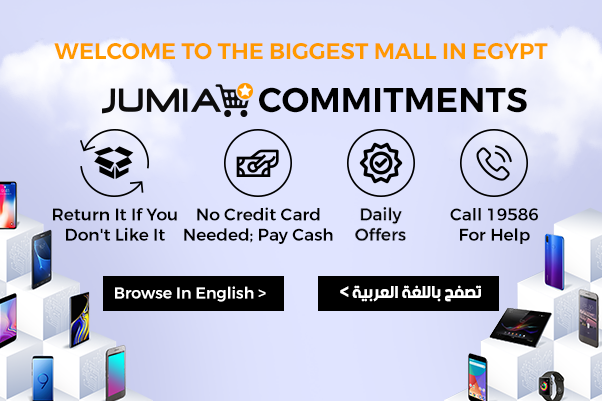 All items sold on Jumia, under certain conditions, can be returned within a period of 14 days and up to 30 days for defective products from delivery date. Example: If I receive my product on Monday 5th, I have until next Sunday 19th to submit a return request. NOTE: We accept returns up to 30 days for defective products from the delivery date. If you face this situation, after the 30 days we advise you to contact the manufacturer if the product has a warranty. Click Here to know more about warranties. After you submit you request, we will arrange a pick up at your doorstep. To know more about the return timelines, please check our return page. We will keep you updated by email and SMS about the status of your return. If any question please do not hesitate to call our customer service from here. Contact our Customer Service team here if you have any question. I received something I didn't order. What now? Sorry, Please always if possible on your side, verify the item delivered when given by the delivery agent. And reject if not matching your order. In case you accepted it from the delivery agent, you can still return it within 14 days. Do I have to return all products in my order? No, you do not have to return your entire order. You can return certain product(s). Sorry, returns are not possible after the 14 days return period. You can reach our support team here. If you experience issues after our return/exchange period has elapsed, you can claim your warranty (if any) from the authorized service center of the brand. What should I do if I want to exchange a product and it is either sold out or not available? You will have to return your product, within the 14 days after the delivery, and place a new order when it becomes available again. Please do not hesitate to contact our Customer Service Center from here. Yes, any free gift must be also be returned. Do I have to pay for shipping charges when I return a product? There are no charges for shipping a product back to Jumia. What is the Shipped from Overseas return policy? Wrong Item If you received an item different from what you ordered.